In this blog post, I've used a sample web app to demonstrate the SAML 2.0 behavior with WSO2 IS 4.5.0. 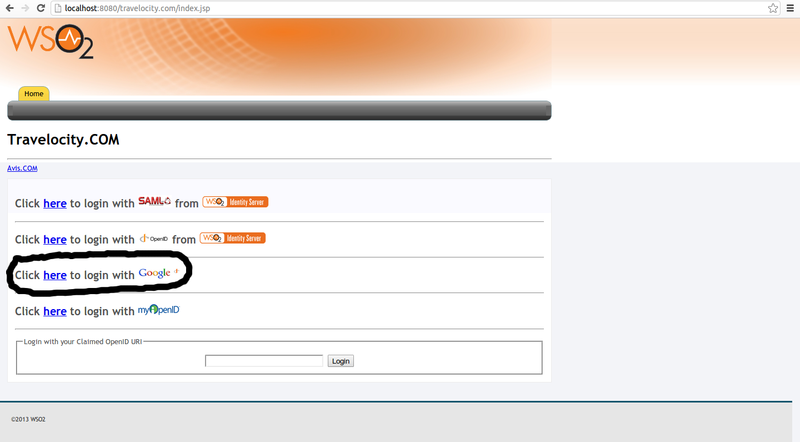 In this blog post I'm going to explain login with OpenID url provided by WSO2 IS 4.5.0 and hot to login to ap with a google account. 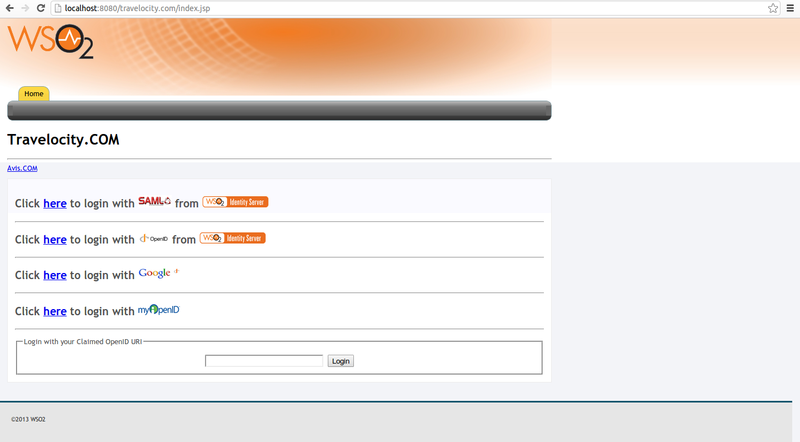 (1) Login with OpenID url provided by WSO2 Identity Server. - Before trying out this scenario, we first need to import the self signed certificate used by WSO2 server to the trust store of the web container where the web app is deployed on. Since we are using Apache Tomcat server, let's import the certificate to java cacerts. First export the certificate using following command. Now import this certificate to java cacerts. 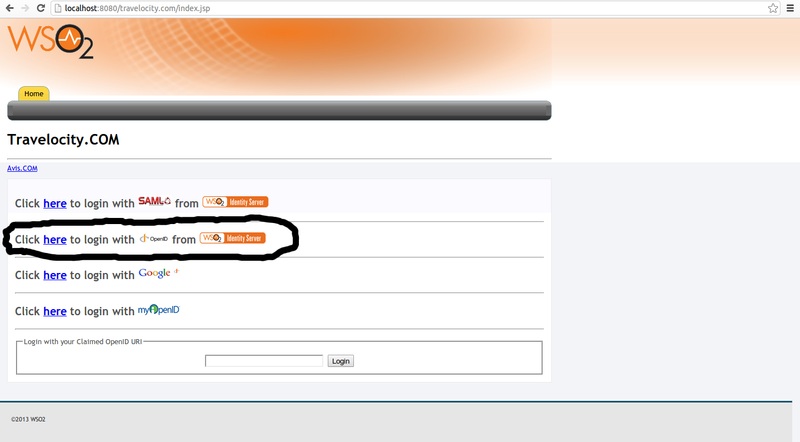 - You'll be asked to approve the OpenID user profile. - Click approve or approve always. 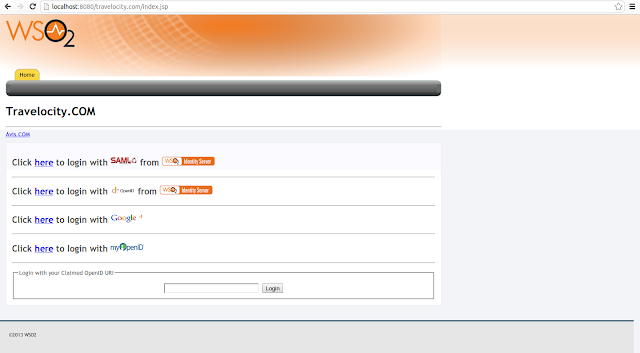 You'' be logged in and will be able to see the home page. (2) Login with google account. 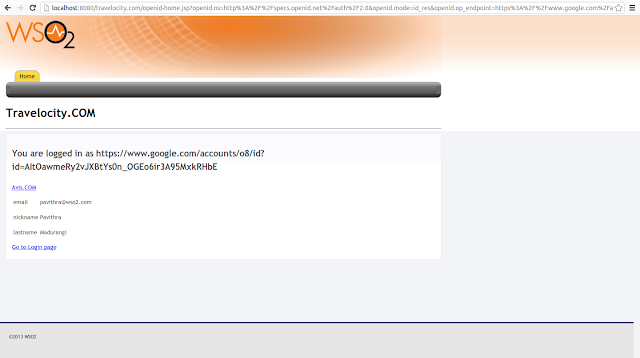 - Logo ut from google account if you've already logged in and click the third url in the app.